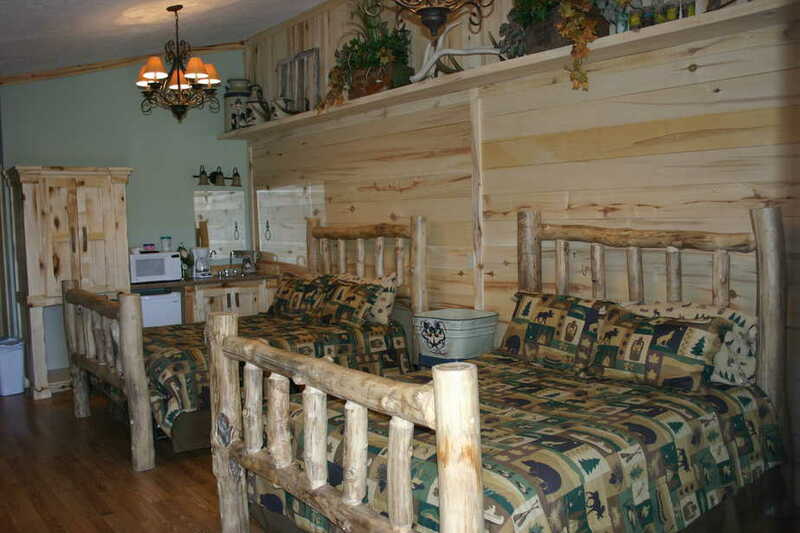 Hardwood floors and log beds says it all. 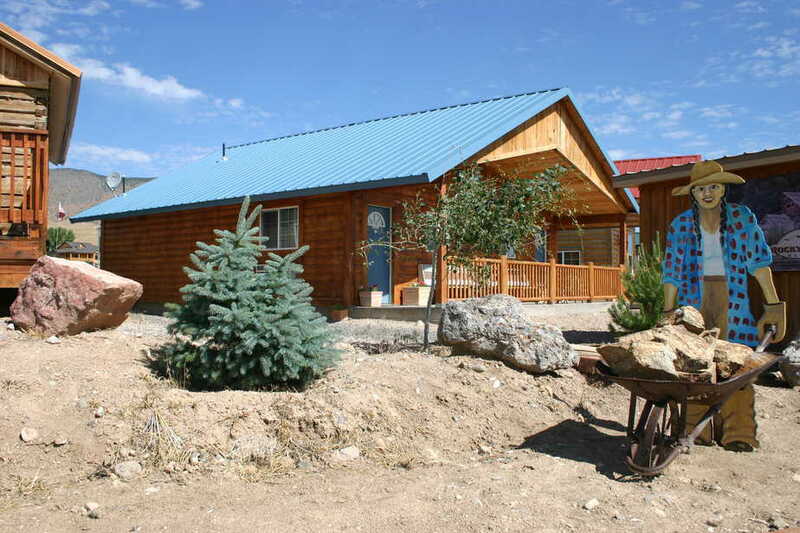 This cabin is new with Aspen wrapped walls and decorated antique fishing and hunting treasures. The full bathroom with a tub and shower has knotty pine walls that reach the stars. 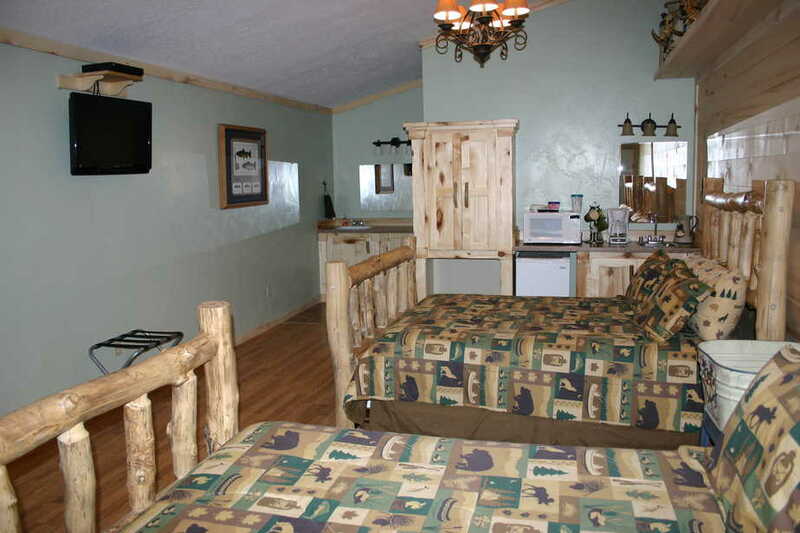 It has a wet bar, mini fridge, microwave, coffee pot, AC and a 32 inch flat screen HD Satellite Direct TV. Cooking at the Pavilion is also available. 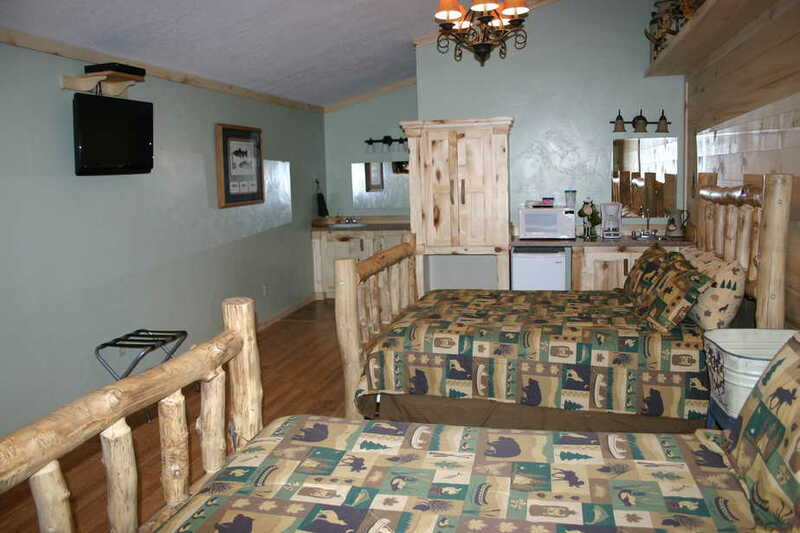 All cabins have towels and linen, and a view over the town below. Room rates are for double occupancy. 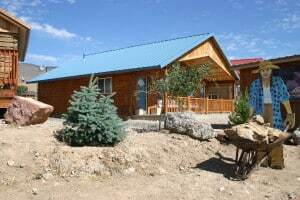 Rates are adjusted for additional occupancy. 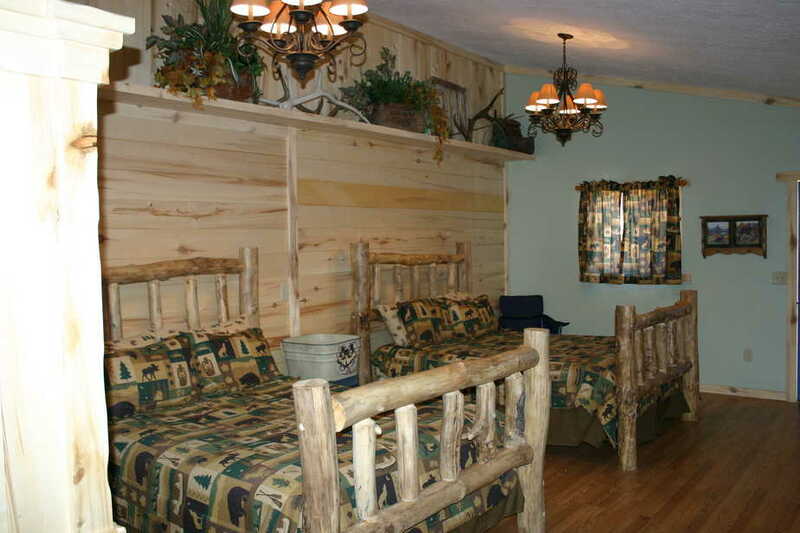 Book the Hunter's Cabin Now!